Robert McQueen picked up the honour of being awarded for 10 years of officiating at the European Championships. 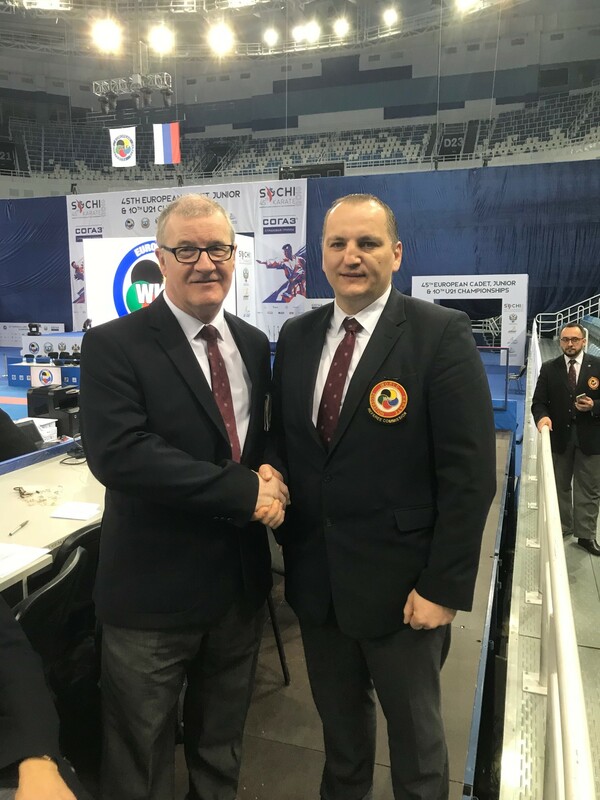 Robert is pictured above being presented with his 10 years EKF pin for service to European Karate Federation refereeing by Alois Weibock the EKF Refereeing Commission Chairman. This is outstanding, showing fantastic development and personal commitment on many levels! Congratulations Rab, thank you for doing Shitokai Scotland and Scottish Karate Proud!